We asked Ariel Winter, who stars in the comedy Opposite Day (on DVD November 16) with funny guy Pauly Shore, questions about her famous name, her acting career and what she would do if she could really swap places with an adult…and be a kid in charge of the world! Kidzworld: Hi Ariel! How old are you now? Ariel Winter: I will be turning 13 in January! Kidzworld: Is it true that your name was inspired by Disney's The Little Mermaid? Ariel Winter: Yes it is! Since my mom always called me her little princess, my brother and my dad came up with princess Ariel from the character in The Little Mermaid. The original movie came out in 1989 so it was only a few years old and still very popular when I was born. Kidzworld: Do you have a nickname? Ariel Winter: Arianna is my dad's nickname for me and Miss Trouble is my brother's new nickname for me! Ever since I was little, my mom always called me "little princess" or "sweet sugar plum." Whenever I hear Brown Eyed Girl by Van Morrison, I stop wherever I am and dance to that because my dad used to tell me that was my song. Kidzworld: At what age did you start acting and how did you get into it? Ariel Winter: When I was four years old, I was watching Dora the Explorer and I tried to “go into the TV” only for my mom to rush in and say, "ARIEL! What are you doing?" I told her that I wanted to go inside the television and explore with Dora and Boots! My parents were skeptical about putting me into the acting business, so I started off with commercials and print. When I was seven years old, my parents asked me if this was what I really wanted to do and I just remember pledging my dedication to being an actress, so my parents relented and I moved on to do television and movies. Still to this day, my parents are supportive of anything I would like to do, with the exception that my grades are above standard! Kidzworld: What do you like most about acting? Ariel Winter: I love being able to play new characters and challenge myself with new roles every week and grow and perfect my craft. I can have Halloween 365 days a year by being an actress, because you never know what's coming next! Also, I am passionate about acting because it has opened up so many opportunities to meet so many amazing people I never imagined I'd meet, and I can travel all over the world to act! I'm always ecstatic when I get a letter or when someone comes up to me and says I made their day a little better with my work on the television or in the movies. Kidzworld: What's it like doing voice work? 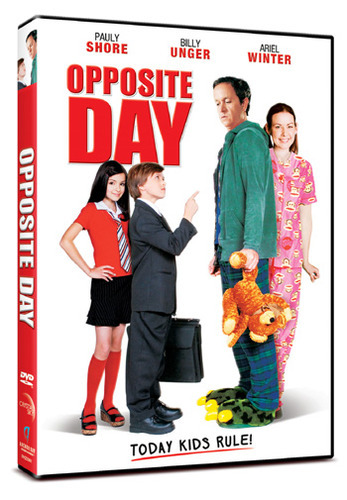 Kidzworld: In the new DVD, Opposite Day, kids and adults swap places. What would be the one thing you’d want to be in charge of if you really ruled the world? Ariel Winter: If I could rule the world, I would find a way to help end childhood obesity. I think there are many factors that help perpetuate this disease that could be changed if we all did our part to make healthy choices. 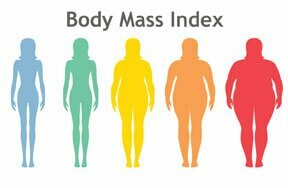 I believe that childhood obesity opens the door for many other health issues, and if we could start with salads for lunch in schools rather than pizza we could really make a difference. Everything in moderation is what I’ve been raised to live by! Kidzworld: When you're off set, what are some of the things you like doing in your spare time? Ariel Winter: I am an avid reader, a singer/songwriter, and a book reviewer for Harper Collins Publishing! I also hang out with my friends and family as much as possible, because during filming I'm very focused so my parents make sure that when I'm not working I'm always doing something fun, just like any other teenage girl. Kidzworld: We heard you had a singing group with your BFF a couple of years ago - is music something you're still really interested in? Ariel Winter: Singing has really become my second love. It’s a great way to channel emotion especially any pre teen growing experiences that may be difficult and exciting at the same time. I am currently doing a tour through schools in NYC to give a sneak peak of my new single that will hit iTunes very shortly, so keep an eye out! Kidzworld: What do you hope to achieve in the future? Ariel Winter: I am always hopeful that my acting career continues to grow and be successful. I am also very excited to see where my music takes me, hopefully one day I will even be on the radio! With all of the opportunities I have had and the fan base that is so wonderful to me, I hope to find a way to give back to society and to be supportive of charities that really mean a lot to me.